The BASgatewayLX uses a csv (comma separated value) file that is uploaded to it to provide the modbus point list that will be polled. Contemporary Controls builds these Modbus maps and posts them on our BASgatewayLX profile page. There have been situations especially with PLC implementers where a defined map is not applicable. For example when we develop a Modbus map for a specific boiler model, those Modbus points are always the same for the identical boiler model. In PLC applications the logic developer defines what values will be assigned to which Modbus points. For every job the point mapping may be unique. We can still build the map, but many times the PLC developer will build their own since the point mapping may be a last minute decision. American Auto-Matrix - AspectFT has won the 2015 AHR Expo Innovation Award for Building Automation. The ISY994iZW series provides full programming and automation, including scheduling, control and notification of both Insteon and Zwave automation products with it's built in Zwave antenna. This model ISY994IRPRO includes additional memory for larger installations as well as a built-in IR receiver that allows it to be controlled or trigger actions based on infrared commands. Use it with an existing remote by learning IR signals, or take advanatge of the ISY codes built in a Harmony remote. Support for 1,000's of Z-Wave and INSTEON devices. Supports complete ecosystem of Keeping up with Collaboration Today Z-Wave devices Best in class INSTEON support (requires optional 2413s PLM) True energy management platform Reads energy usage from supported devices Support for OpenADR demand response. 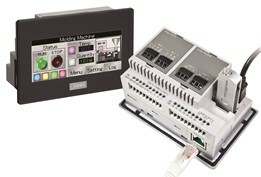 Echoflex Solutions is pleased to introduce our new wireless plug load controller. Building on Echoflex’s complete line of selfpowered wireless switch and sensor products, the controller has a switched bottom outlet and constant voltage top outlet. The controller has the unique feature of an auxiliary output allowing other standard receptacles to be controlled by its internal relay. The outlet controller is designed to work with Echoflex wireless switches, key card switches, occupancy sensors, window/door switches and all central command functions. SensiNet's new LAN architecture places environmental sensors where they're needed by leveraging existing LAN architecture. Clusters of sensors can be distributed across the building, across the campus or across the world and still retain a single point of integration. Gateways are available as embedded or virtual appliances for optimum flexibility. The EAGLE™ is ZigBee Smart Energy 1.1 certified, and has been validated by many utilities including PG&E, SDG&E, SCE and BC Hydro. Plainville, Connecticut, USA - Gems Sensors & Controls (Gems), an ISO9001:2008 and ISO13485 certified leading supplier of standard and custom liquid level, flow and pressure switches, miniature solenoid valves, and preassembled fluidic systems, today announced the multi-language homepage redesign of www.GemsSensors.com. The new Gems homepage concept successfully integrates nearly six months of comprehensive research and planning, including interviews with industry OEMs, customers, prospects and internal personnel regarding “wish list” site improvements. This includes streamlined navigation, enhanced depth of technical content, and increased front-end accessibility to local sales support channels. IDEC announces a new model in its FT1A Touch micro programmable controller series of combo HMI+PLC units, the FT1A Touch 14 I/O. New features make the FT1A Touch 14 I/O suitable for advanced analog monitoring and control, allowing users to economically perform both operator interface and control for a much wider range of applications.